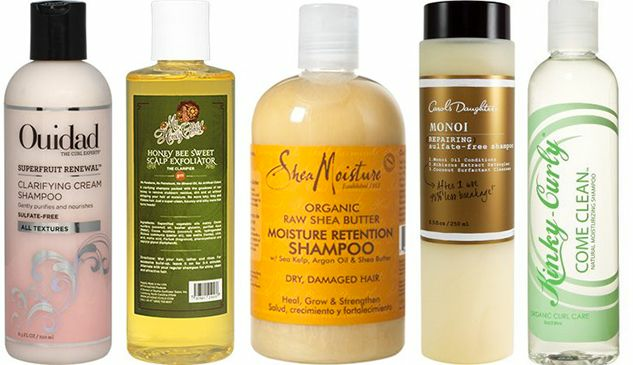 There are many different methods for cleansing your curls. Some methods include co-washing, clarifying, hair rinsing, and even no-poo! If you use leave-in products, exercise regularly, or have an itchy or flaky scalp, then you should really consider using a clarifying shampoo and a moisturizing shampoo. Why should we clarify our hair? You can look at it as a fresh slate. It cleans our curls and scalp. It gives us a fresh start to style our curls without old product buildup. However, our curls can feel dry after clarifying. Why is that? Dr. Kari Williams, trichologist and founder of Mahogany Hair Revolution Salon & Trichology Clinic, explains why our curls feel this way after clarifying: “Hair feels dry because the clarifying shampoo typically has a slightly lower pH to lift the cuticle scales and remove dirt and oil from the strands.” Since clarifying can make the hair feel stripped, its best to use a moisturizing shampoo after you clarify. Moisturizing shampoos are used when your curls are dry and are in need of additional moisture. What benefits do we receive for shampooing our curly hair twice with a clarifying and moisturizing shampoo? “Clarifying shampoos remove dirt oil and buildup from the hair. If you use a lot of product, have a scalp condition or have an active lifestyle, incorporating a clarifying shampoo into your hair care regimen should be done on a more regular basis." But Dr. Williams also acknowledges that "clarifying shampoos can be drying on the hair," so it is important to use a moisturizing shampoo as well to "cleanse the hair gently while maintaining a moisture balance in the hair." In effect, they are restoring moisture back into the hair. Using both a clarifying and moisturizing shampoo can help cleanse your scalp and keep your curls hydrated and shiny. You can shampoo your hair once or twice depending on your preference, follow up with a moisturizing shampoo, and proceed with your usual conditioning or deep conditioning session. Using the moisturizing shampoo afterwards can also make detangling easier since your curls have received some moisture at that point. Are you looking back at your regimen to evaluate if you should incorporate both shampoos into your regimen? Is this practice truly necessary for a healthy hair regimen? Here's a last thought from Dr. Williams, “when the scalp is not cleansed thoroughly on a regular basis it can lead to scalp discomfort in the form of flaking and itching." If this is one of your challenges, then give the double shampoo method a try. Do you use both clarifying and moisturizing shampoos? If so, share some of your favorites.